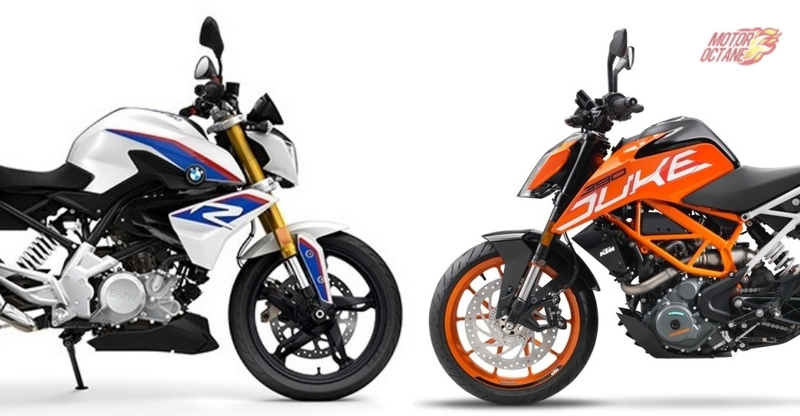 The price of the G310R will be slightly lower than the Duke 390. 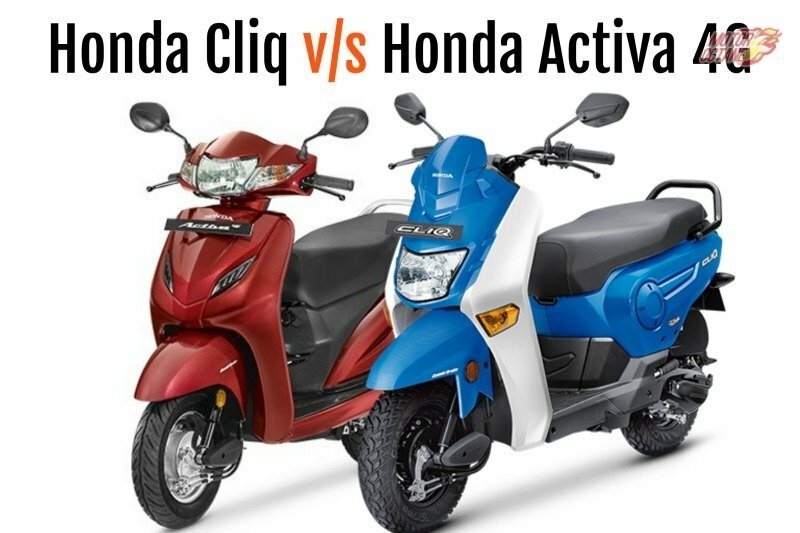 There should be a difference of approximately ₹ 25,000 between both bikes. 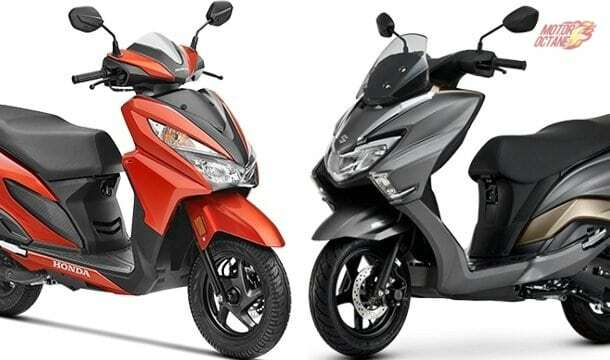 This will give the BMW an edge over the Duke 390, as it will be more affordable. The Duke on the other hand packs in more power and has more features like a colour TFT instrument pod, slipper clutch and Ride by Wire. 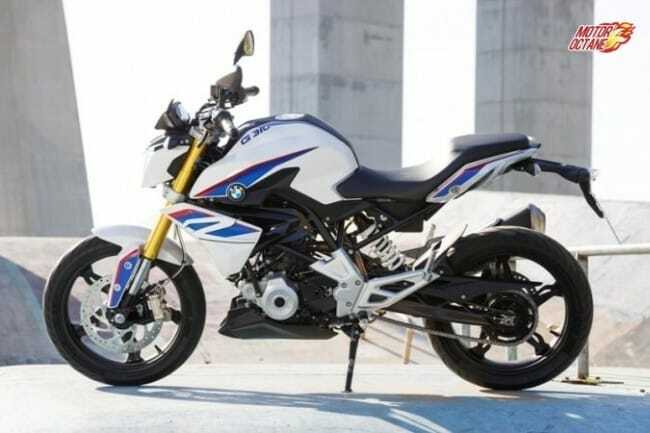 BMW G310R looks stylish. It has an upright seating stance, which seems comfortable for daily commuting. It is a fully naked bike. The fuel tank is muscular but not very large. The headlamp cluster is attractive. There is a stepped seat too. The G310R gets inverted front forks and there is some extra cladding under the fuel tank. The bike has a neat and well-balanced side profile. The rear is raised as there is a mono shock suspension.The rear portion too is very stylish. The black alloy wheels looks appealing too and they are identical to the TVS Apache RR310. The BMW G310R doesn’t look loud or shout out its arrival, it is subtle and appears classy. 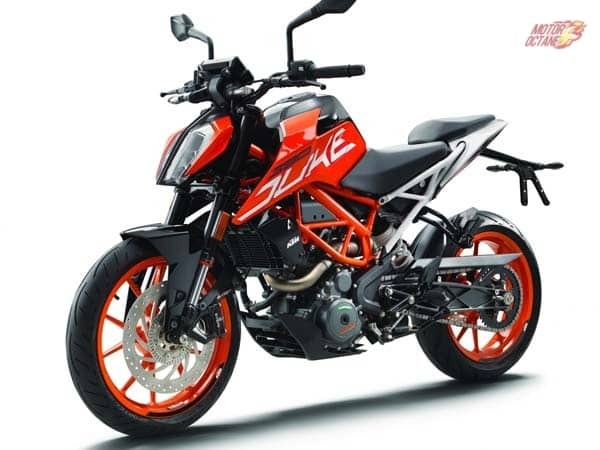 The KTM Duke 390 is an aggressively styled naked bike. With its street fighter styling, it literally bulldozes into your face, such is its aggression. The headlamp is a split design one and is inspired by the Super Duke 1290. 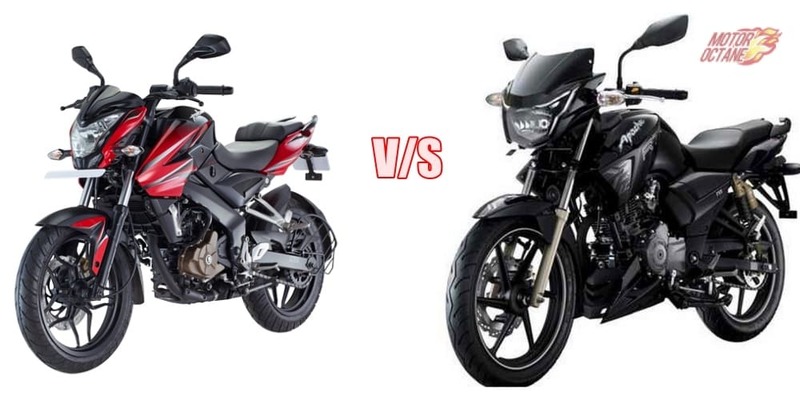 The new generation Duke 390 is a very attractive motorcycle. 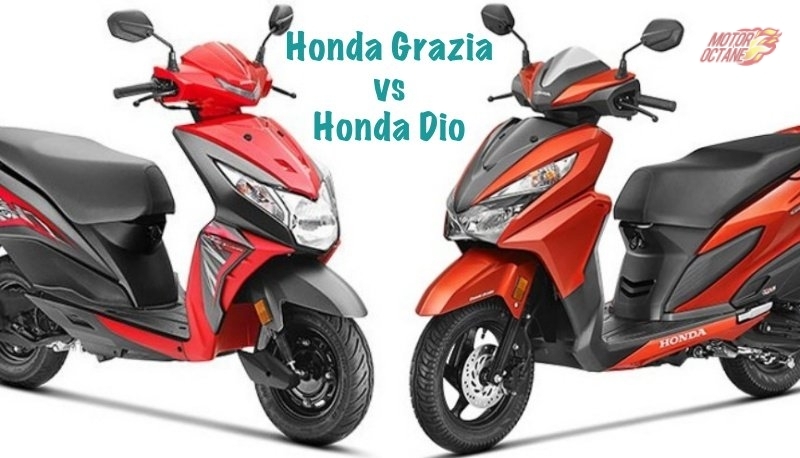 It is built on an all new chassis that gives it excellent dynamics and even good ride comfort. There are daytime running LEDs on the headlamp. 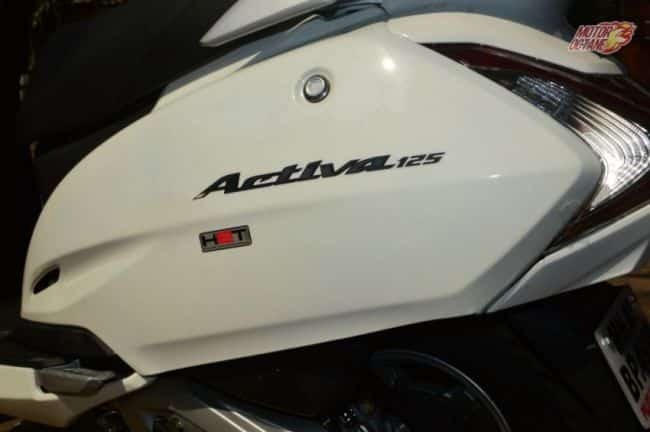 The bike looks sportier due to the stylish body graphics. The fuel tank is bigger than the G310R. With all the new styling, the bike is a real looker and can make heads turn wherever it goes. The 2017 KTM Duke 390 is powered by a 373cc engine. 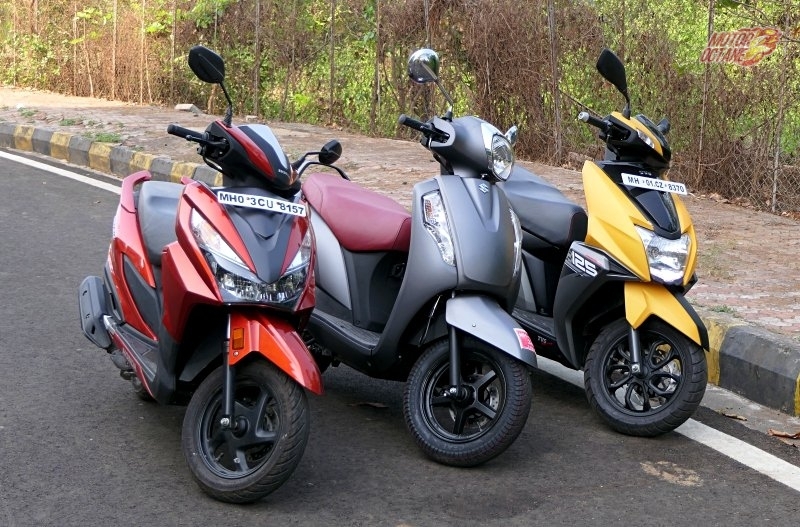 It delivers 43bhp and has 37Nm of torque. The torque has now increased by 2Nm and the power remains the same. 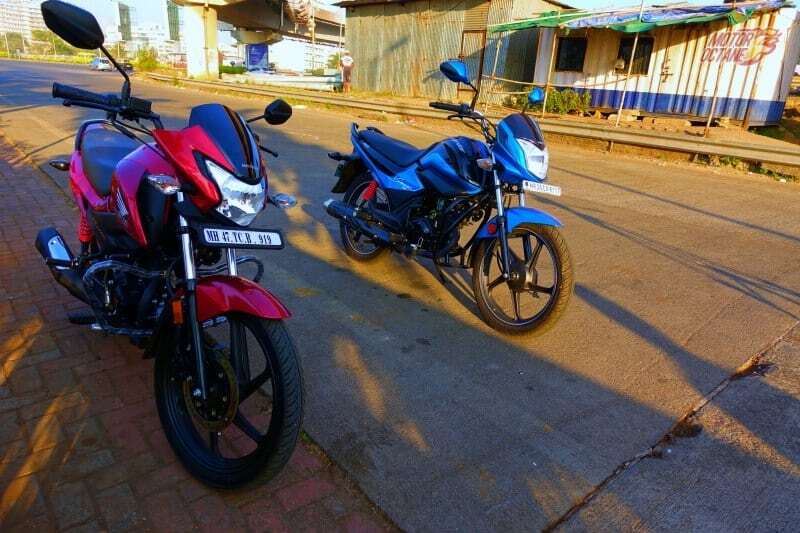 This engine is the same as the earlier model but now comes with BSIV norms. There are few tweaks done to the engine. 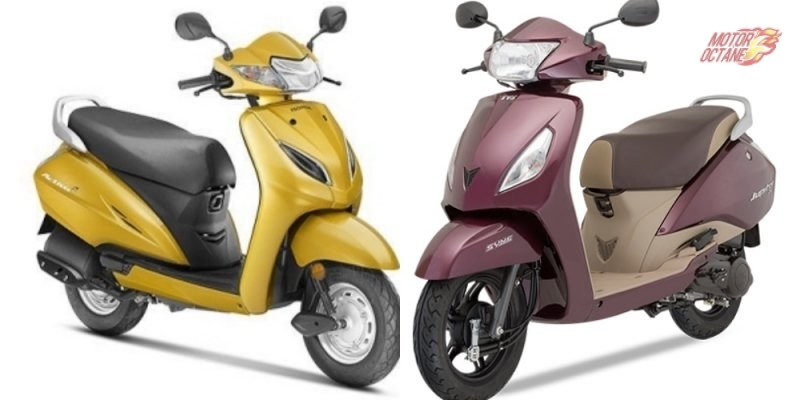 The gearbox is a six-speed unit.The Duke 390 also gets a slipper clutch for better control and even Ride by Wire technology, which enhances throttle response. 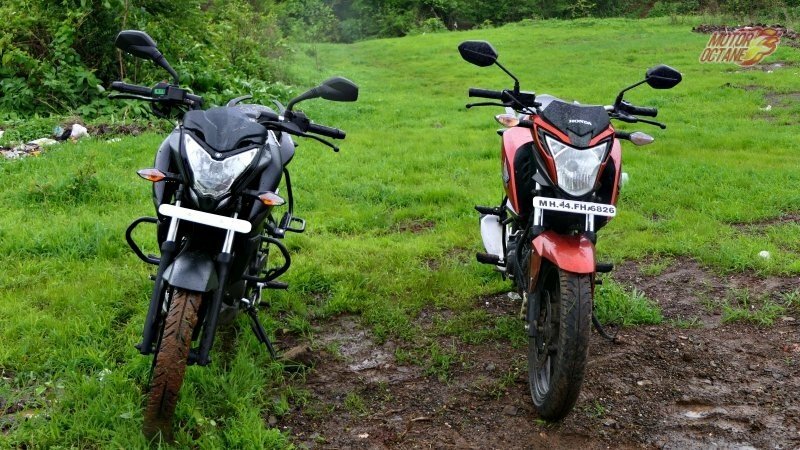 The KTM Duke 390 has more power, however, the BMW G310R is not very slow in comparison. It is quick and in real world riding conditions, it will not make much of a difference as compared to the Duke 390. The BMW G310R is likely to have a top speed of 143 km/h. This will be a bit lesser than what is for the Duke 390. The KTM Duke 390 has a top speed of 160 km/h. However, the G310R will have good acceleration and will be just about a second slower than the Duke 390 to reach the 100 km/h mark. The BMW will be more suited for daily use than the Duke 390 and will be more comfortable to ride as well. 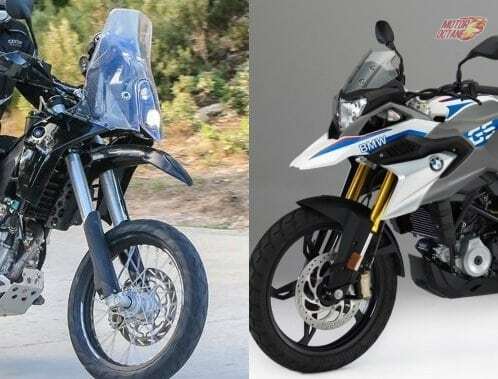 The Duke 390 is slightly longer than the BMW G310R, while the BMW is slightly wider. The Duke is around 5 kgs heavier than the G310R, but has 10bhp extra power, which makes for a good power to weight ratio.